According to a new study, the primary location of a colon cancer tumor could affect survival rates. Lead author Alan P. Venook of the University of California – San Francisco says his team's findings suggest patients with colon cancer primarily located on the left side of the colon survive significantly longer then patients whose cancer starts on the right side. The researchers used data from 293 patients with right-side primary tumors and 732 patients with left-sided tumors. The study showed patients with left-sided tumors had a median overall survival rate of 33.3 months, compared to right-sided patients with a median overall survival rate of 19.4 months. The analysis also shows a significant difference in drug effectiveness based on the location of the tumors. The researches test two therapies, in combination with chemotherapy, to see if one worked better than the other. When the data was evaluated based on tumor location, bevacizumab was associated with longer survival in right-side tumors, while cetuximab was linked to longer survival in left-side tumors. “These findings will likely change the way we approach colorectal cancer treatment and research, even as we seek to more deeply understand the biology driving the difference in outcomes between right- and left- sided cancers," Venook said. Venook notes the left and right sides of the colon arise from different embryotic tissues and, as such, have different biological characteristics. This may account for the study’s findings, though more research is required before anything can be proven. 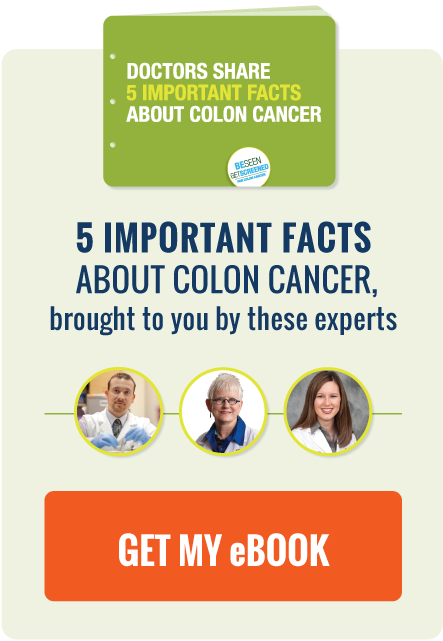 Colon cancer in Americans under the age of 50 has risen by 11% in the past decade. A new study shows colorectal cancer can be triggered by “jumping genes." Drug for multiple sclerosis may put patients at greater risk for colorectal cancer.